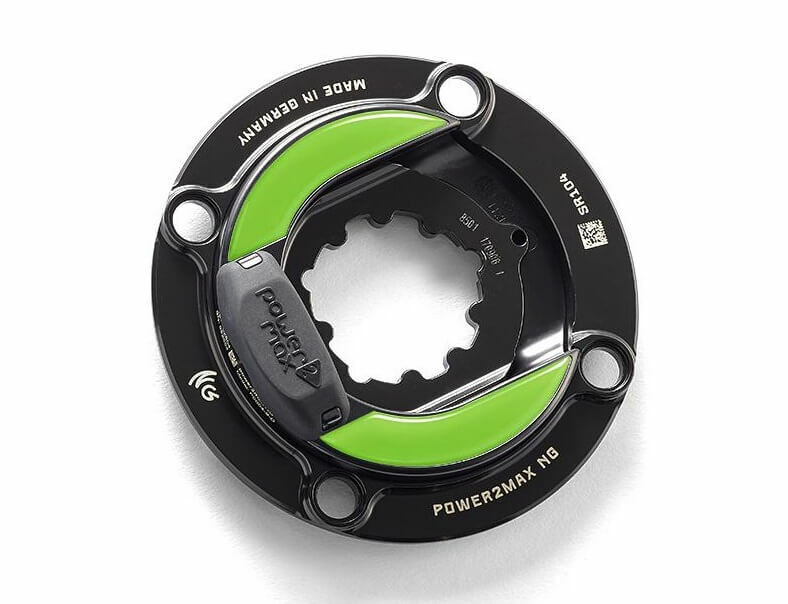 Accurate and affordable power2max NGeco power for your SRAM MTB crankset! The NGeco is the newest model in the power2max line-up. With features such as dual leg power measurement, ANT+/Bluetooth SMART compatibility and left/right power balance, the power2max NGeco SRAM MTB Power Meter comes fully-loaded. In addition, the NGeco is accurate to +/- 2.0% in all environmental conditions and is easy to use with features such as auto-zero and accelerometer-based cadence measurement. In fact, there is no other power meter that provides dual-leg power measurement plus these other features at only $590! Chainrings: We recommend either the Praxis Works or Wolf Tooth Components MTB chainrings for use with this power meter. The power2max NGeco SRAM MTB Power Meter is designed for those who already use a direct mount SRAM crankset or a modular SRAM crank set with a Q-factor of 168 mm. These cranks can also be identified by 3 bolts located on the inside of the spider which are used to secure the spider to the crank arm.